I feel like I’ve spent my entire life watching The Temptations perform on “The Tonight Show.” They made nine appearances during Johnny’s reign (or as I call him, the Classic One) and another during Leno’s long and laborious tenure. 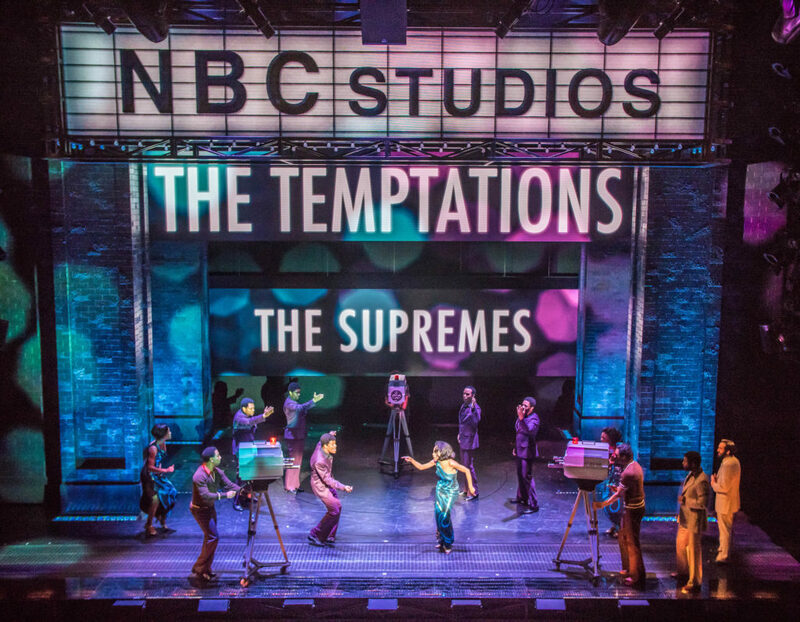 This will be the first “Temptations performance” since Jimmy Fallon took over. A backstage source tells me that, should traffic be untenable, the stars ain’t to proud to speed-walk to the theater. I’m guessing none of them will be singing “I Wish It Would Rain”! When they arrive at the Imperial Theatre, I’m told Shubert security — already managing an opening night crowd that’s expected to include a range of superstars including many of the real life folks who are portrayed in the show like Otis Williams, Berry Gordy, Mary Wilson, Shelly Berger — will sweep into action, clearing the way to make sure the show’s stars get safely backstage as quickly as possible. When I asked my backstage source about the logical challenges, she quipped, “It could be worse. ‘The Tonight Show’ could still tape in Burbank.” Indeed! Spotted Maria Bartiromo, or a dead ringer, smoking what looked like a small cigar and smelled like a clove cigarette outside of the Fox News building on Sixth Avenue. Overheard soap star Eileen Davidson asking about the differences between Apple TV and Roku at Best Buy. Caught Tony Awards’ publicity guru Shawn Purdy hailing a taxi outside Cafeteria.